HOUSTON - An off-duty police officer shot and killed an armed man outside the Bombshell Bar early Friday morning. 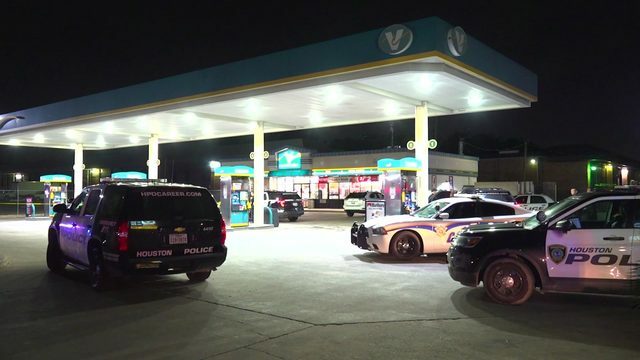 According to reports, two off-duty Houston police officers were working a second job at the bar in the 12800 block of the Gulf Freeway when a disturbance erupted between two groups of people. Apparently the argument spilled into the parking lot, and at some point a woman approached one of the off-duty officers, telling him one man involved in the altercation had a gun. The off-duty cop asked the man to put down the weapon, investigators said, but he refused and pointed the gun at the officer instead. Fearing for his life, the officer shot the suspect. "We [went] outside and we saw my friend outside lying on the crime scene, [...] he's not moving, we're not knowing if he's dead or not. I mean, we're just in shock. I'm crying, my friend is crying, I'm just in shock. This is a close friend of [ours]; I don't know what to do, I don't know what happened." Police said the off-duty officer and the suspect were just 25 feet away from each other when those shots were fired. 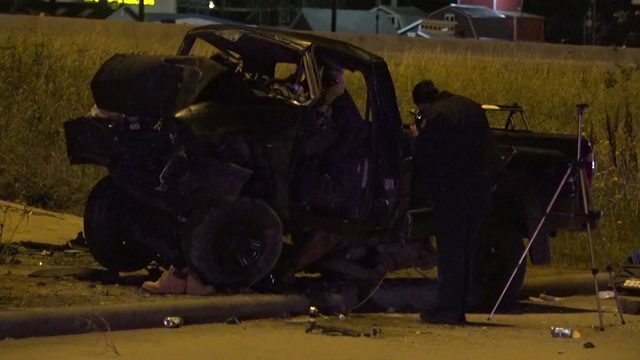 The suspect was taken to Clear Lake Regional Hospital, where he later died. The names of the suspect and the officer involved in the shooting were not immediately released.